No. 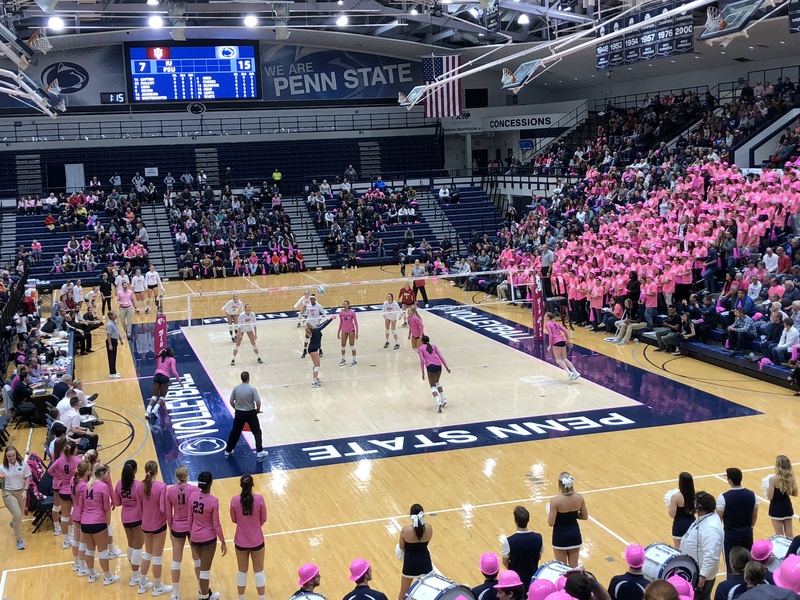 7 Penn State women’s volleyball lost to No. 8 Nebraska 3-2 (27-25, 19-25, 25-21, 18-25, 8-15) Friday night at the Devaney Center. 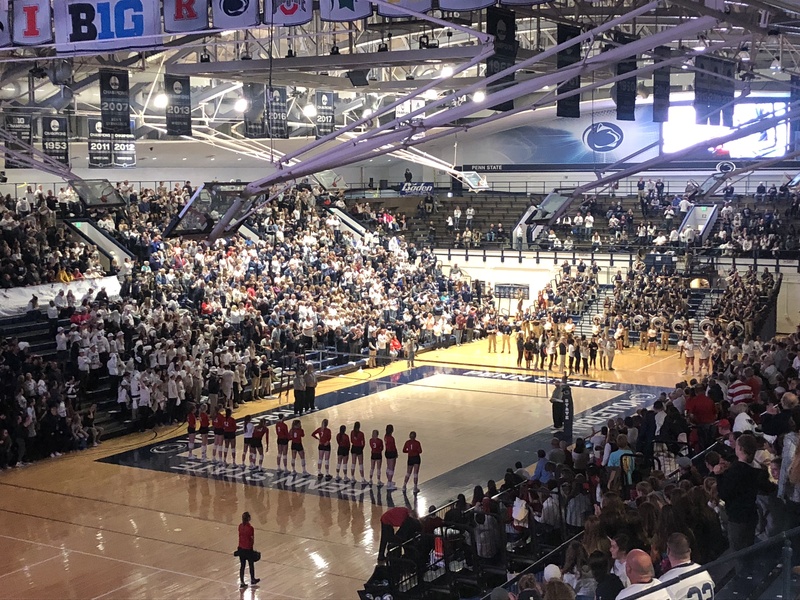 After beating the Cornhuskers 3-2 earlier this season in Rec Hall, the Nittany Lions opened up an early lead in Lincoln, but their momentum would fizzle out toward the end of the match. A crowd of 8,434 turned up for the top 10 showdown. Taylor Leath led the Nittany Lions with a match-high 16 kills and 15 digs, while Nebraska had four players finish with double-doubles. Mikaela Foecke tallied 15 kills, 29 digs, and six blocks to help the Cornhuskers improve to 17-6 on the season. Freshman middle blocker Kaitlyn Hord was just shy of tying her career high with 15 kills in the loss. She paced Penn State’s blocking efforts with six. Nia Reed, Jonni Parker, Bryanna Weiskircher, Tori Gorrell, and Serena Gray combined for 28 kills to round out the scoring for the Nittany Lions. Kendall White’s season-high 31 digs moved her into fifth place in program history with 1,329. Weiskircher notched a match-high 49 assists, seven digs, four kills, and three blocks, while freshmen Jenna Hampton and Gabby Blossom combined for 22 digs. The Nittany Lions (18-5, 9-4 Big Ten) head to Iowa City Saturday for an 8 p.m. ET tilt versus the Hawkeyes. Iowa is 13-11 and 5-8 in conference play this season.